A 98-year-old D-Day survivor has published his first autobiographical book on his experiences during World War Two. William Glen, who lives at Bield’s Carntyne Gardens in Glasgow, decided to pen Single File ahead of his fourth novel. A personal memoir of his contribution to the Normandy landings, the former plumber recalls his first taste of war. Mr Glen said: “The book is about my own experience during the Normandy landings. 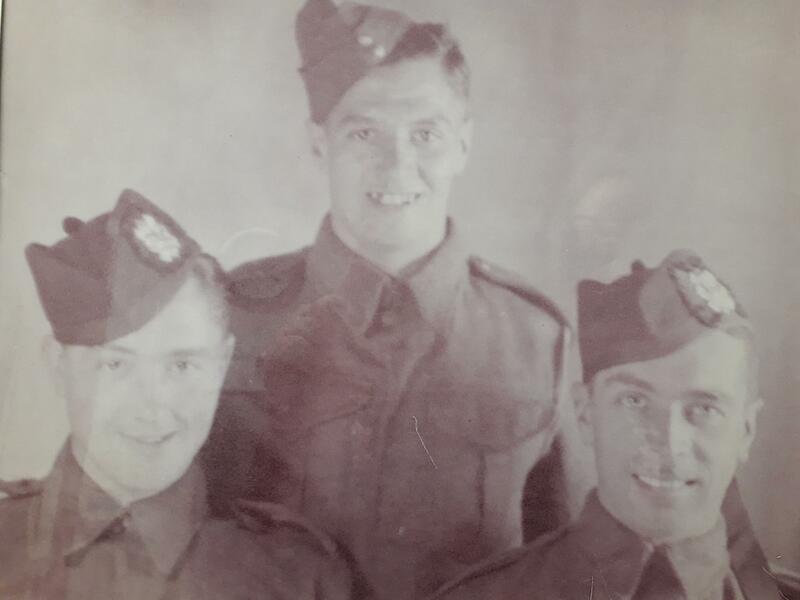 It was pretty rough – we were in action and fighting for two days when both of my legs were badly wounded by a mortar bomb. I lost four of my platoon at the same time. “I would have been 23 then, but the chap next to me who died was only 18. I don’t know what his life was like; if he lived with his parents or had a wife. The book describes how Mr Glen survived the attack and was forced to leave his remaining platoon as he was taken away by stretcher. Although the events of the book took place in 1944, the memory is still a clear one for Mr Glen who took a break from his quirky fictional writing to pen Single File. The Bield tenant, who attended writing classes in his retirement, has received glowing reviews from friends, family and tenants at Carntyne Gardens since publishing the memoir. Carol Harvey, deputy manager at Carntyne Gardens, said: “Mr Glen gave the book to staff and tenants who have all really enjoyed reading his work. “He went through an awful lot. My favourite part to read was when he realised in hospital that the man lying next to him was his brother. 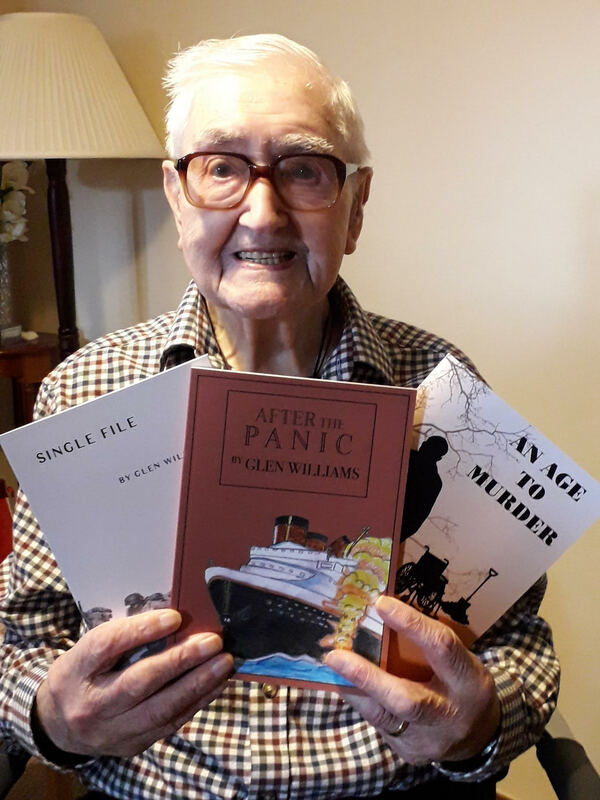 In the last couple of years, Mr Glen has unexpectedly found himself to be a media sensation after he penned his first book at the age of 96. His previous works are action-packed and feature characters such as lottery-winning pensioners, mafia bosses and South American drug barons. Already in the process of writing his fourth fictional book, the author has so far kept tight-lipped about the plot. He said: “The book about me, that’s just a one off. It’s only recently in the last couple of years that I’ve started writing and it’s usually just daft wee stories. ‘Single File’ can be purchased on Amazon Kindle and all the proceeds of the sales will be donated to the Erskine Home for Veterans.